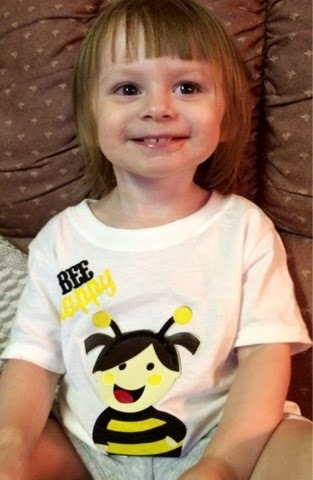 Here is my sweet little Ragan sporting her Bee Happy tee. 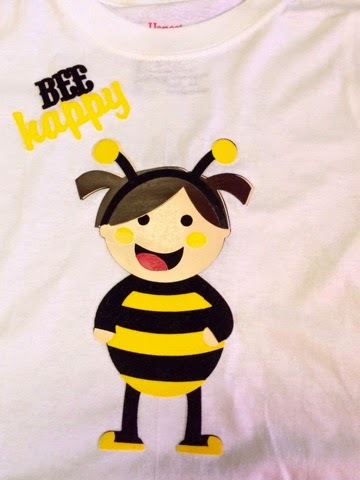 I used flocked transfer from Vinyl Expressions. It turned out pretty cute. I didn't have flocked skin tones so I mixed and matched. The black and yellow are flocked the skin tone is regular. Let's talk about lessons learned while making these shirts. #1. Use flocked or regular. Don't mix them. They look ok, it just isn't seamless like I hoped. #2. Use custom settings and choose iron on glitter. Works perfect for flocked vinyl. #3. Make sure every layer is flipped. I didn't realize that when I customized the settings, it did not automatically flip the image. As you can see in the close up, they layers aren't even. 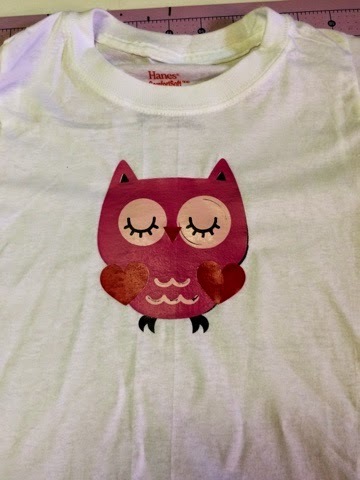 Look closely at the second t-shirt with the owl. It's awful. Sorry I can't recall the cartridge the images were on. Create a critter I think. I have a few other things I'm working on and a craft room redo to share with you the next couple days. I'd love to hear some feedback if there is anyone out there seeing this post LOL.